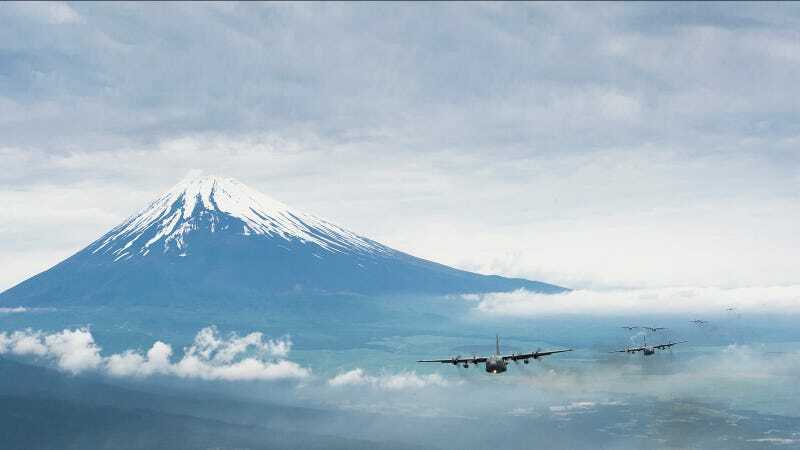 Check out this formation of eight U.S. Air Force C-130 Hercules cargo aircraft flying in formation near Mount Fuji, Japan. It's so beautiful that it looks like an illustration or a frame from a lost Akira Kurosawa modern war film. Image by U.S. Air Force photo by Staff Sgt. Chad C. Strohmeyer. Top image has been reformatted to fill the 16:9 format.